artcore journal’s second issue focuses on “the biennial;” its vast array of content and concepts; various frameworks; the capacities, capabilities, and limitations of these formats; the range of artists and curators whose vision and presence help to define these massive projects; and the inherent potentialities of the biennial circuit, that in many ways, helps to establish and project the climate of the global contemporary art world. The Biennial issue serves as a platform for varied spatial considerations and to engage with broader discussions on biennial culture in contemporary art. This past year dOCUMENTA (13), the 11th Havana Biennial, the 30th São Paulo Biennial, the 7th Berlin Biennale, The Whitney Biennial, and many more took place, and as with past biennials they once again stimulated a great deal of critical conversation on the artistic, conceptual, curatorial, and institutional rhetoric that continues to swirl amidst the construct of the global biennial phenomenon. 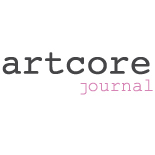 It is artcore journal’s hope that the Biennial issue will serve to support current dialog and enliven new conversations in contemporary art and culture. This issue integrates thoughtful texts, art projects, curatorial perspectives, and reviews anchored by connections to the biennial(s). In his essay Art Circuit: The Biennial Complex as Dynamic Chronotopic System artist Jason Hoelscher introduces a reconciliation of the spatio-temporal explorations of the global biennial circuit to suggest an expanded notion of biennial frameworks. Adopting a proselike style, artist Gregory Eltringham articulately journals an array of experiential reflections on dOCUMENTA (13) in Meaning I Can Memorise. Boston-based artist and writer Kate Farrington presents The Failure of Aesthetics in the Occupy Movement in the guise of the 7th Berlin Biennale. In Curatorial Projects, Eva González-Sancho, currently a member of the curatorial team of the Lofoten International Art Festival (LIAF) 2013, discusses the impact of place on the biennial’s potential to fully engage both local and universal contexts, and questions the implicit paradigms of current biennial frameworks. Katarína Slaninová, part of the curatorial team at the non-profit SPACE gallery in The Slovak Republic and organizer of the Crazycurators Biennial (CCB), describes the collaborative experiences between curators and emerging artists, which is the foundation of the CCB, and the unique outcomes intended by this distinctive biennial format. The Biennial issue also includes brief interviews: artist Craig Drennen In Conversation with Kevin Jerome Everson and artcore journal founder Erin Dziedzic offers a follow-up Five More Questions with ARIKA. In Artist Projects Una Kariim A. Cross explores Thierry Alet’s position as artist and impresario beyond the biennial, Dziedzic suggests notions of infinite activity in “the overlooked” content explored by Jesse Aron Green in his major work Ärztliche Zimmergymnastik, a glimpse at Korean artist Yeondoo Jung’s biennial projects, as well as visual timeline of New York-based artist Daniel Arsham’s impressive body of mixed media work since his inclusion in the 2nd Athens Biennale in Athens, Greece in 2009. A review, by Dziedzic, of Terry Smith’s recent book THINKING CONTEMPORARY CURATING published by Independent Curators International concludes this Biennial issue of artcore. Finally, artcore would like to thank our administrative assistant Kalin Allen who currently resides in NYC, and welcomes artist Craig Drennen to the team as an Advisory Editor. Please continue to visit us on Facebook and Twitter @artcorejournal for journal updates and information on our whereabouts. This entry was posted on January 23, 2013 by artcore journal in Volume 1, Issue 2: Biennial and tagged artcore journal, editors' letter, volume1 Issue 2: Biennial.